Have you ever become out of breath walking a few meters? Or wanted to try out for the hockey team but were afraid of becoming a panting outcast? Want to play hopscotch with your kids but can’t manage more than a few jumps without finding yourself absolutely winded? You may have always just passed it off as being “unfit,” but the reality is that you may be suffering from COPD. 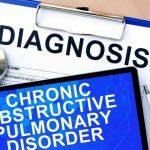 Chronic obstructive pulmonary disease is a broad term that refers to progressive lung diseases, like emphysema or bronchitis. When our lungs aren’t able to function properly, oxygen can’t get to all the organs it needs to; so without oxygen, our organs cannot function properly. They are like a car without gas — the lights come on but the engine won’t start. Due to the lack of oxygen, your organs experience quite a distress, and you will suffer from constant fatigue from just trying to breathe. What’s the cause of COPD? 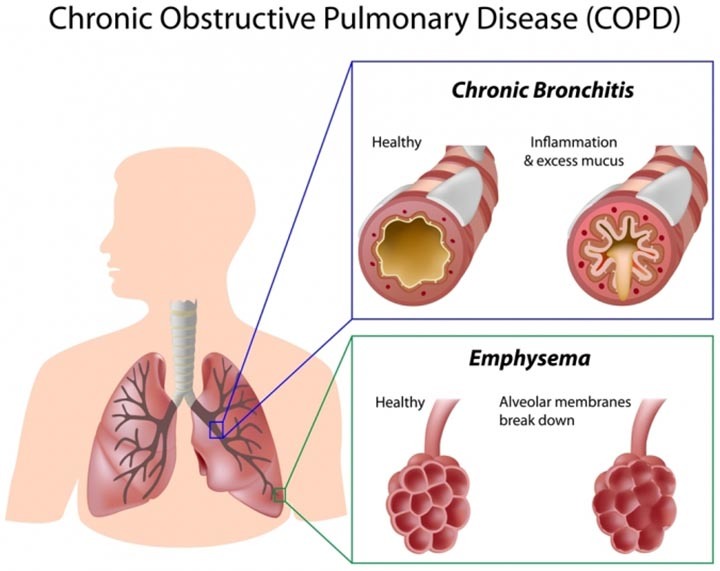 There are many factors which can cause COPD. Cigarette smoking can make you prone to chronic bronchitis. Air pollution is another huge factor. Fumes put out through air pollution are inhaled, and some of these fumes are very hazardous and can damage the lining of our lungs. Genetics are another factor which is often associated with asthma. Although smoking or air pollution can be the culprit, it is also very often passed along to offspring through genes. 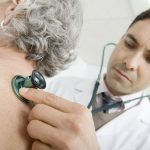 How do I know if I suffer from COPD? COPD comes with various signs and symptoms, and if you experience any of them on a regular basis, you should consult your doctor immediately. An ongoing mucusy, raspy cough, aka a “smoker’s cough,” is the first sign of lung problems and could be chronic bronchitis. You may experience shortness of breath when exerting yourself physically. Or you may experience a “whistling” or “wheezing” chest and a feeling of tightness in the chest area, which is indicative of emphysema. These symptoms are all indicative of a lack of oxygen and enough of a reason to see a doctor. What can I do if I have COPD? There are meds to control your symptoms of shortness of breath and cough, from medications that work preventatively to medications that are handy to keep for emergencies. For instance, there are antibiotics, inhalers (bronchodilators), anti-inflammatory drugs, or even oxygen therapy. Of course, this all depends on the type of COPD you suffer from, the severity, and ultimately, your doctor’s discretion. Remember that eating healthy and exercising are important for overall well-being but is particularly important if you suffer from COPD. If you have a child who has a predisposition to asthma, please keep your child from harm’s way (i.e. second-hand smoke) and educate your child from an early age about COPD, emphysema, and bronchitis. Explain to your child that he/she is more prone to the disease because of genetic asthma. In this case, prevention is better than a cure and the only way you can try to get this right with your child is to guide your child in the right direction and enlighten them about their condition and options. What are some natural tips to help combat COPD? Supplementary and natural treatments are helpful when coping with the two main types of COPD: emphysema and bronchitis. Many find it useful to implement breathing techniques to improve breathing and lung function if suffering from asthma. It’s also advisable to increase daily water intake substantially as it will help flush out mucus from the airways. Having a good quality humidifier inside your house can make it a bit easier to breathe and be comfortable in your living space, as well. Alternatively, some believe eucalyptus oil with cineole can help reduce airway inflammation (chronic bronchitis) and put the oil into a diffuser or humidifier. Further, ginseng is an herbal supplement that improves lung function and decreases bacteria in the lungs. Crowds expose you to higher risks of infection so avoid large crowds whenever possible. Despite how difficult it may be in this day and age, it’s important to reduce stress as much as possible. When you relax, so do your airways. What’s the cure for COPD? Unfortunately for those suffering from COPD, there is no cure yet. 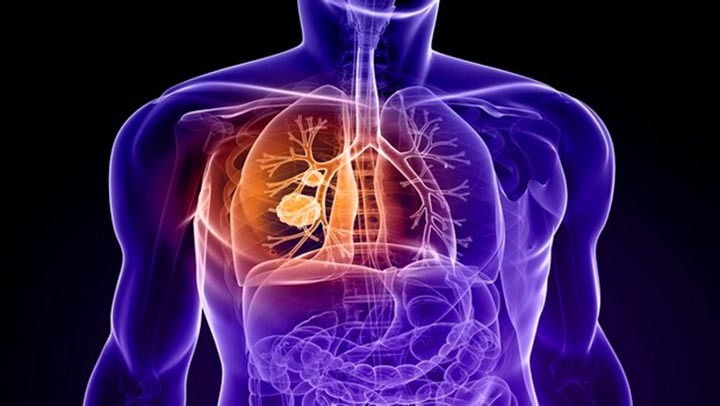 Only treatment and a change in lifestyle can slow the progression of emphysema or chronic bronchitis. As with any disease the sooner you diagnose it and start treatment the better. 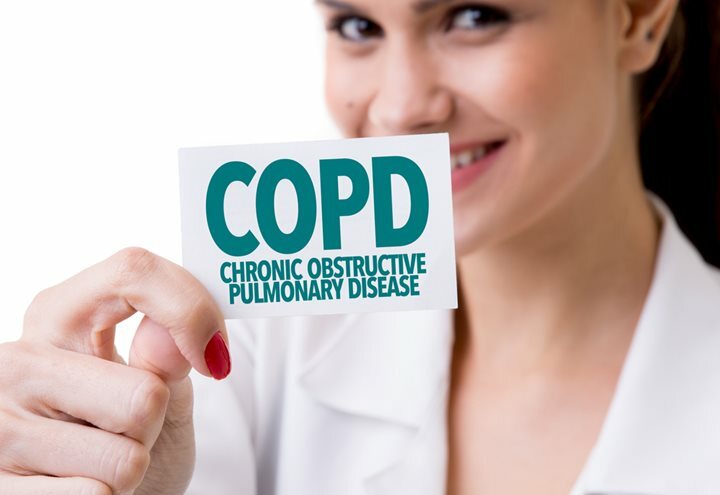 Those who get a COPD diagnosis in stages one or two before starting treatment will only lose about two years on someone who does not have COPD. However, keep in mind, the number of years goes up for the number of years the patient was a smoker. Those with COPD caught in stage three or four lose about six years plus the number of years which they were a smoker.